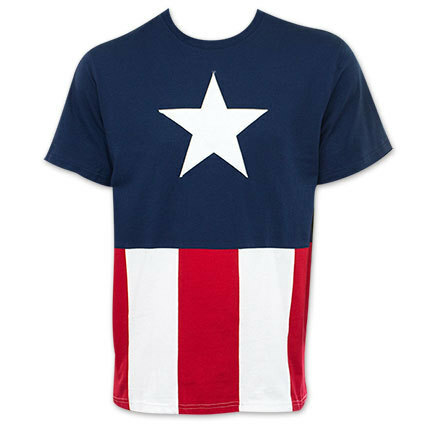 Men's Captain America stitched flag t-shirt. 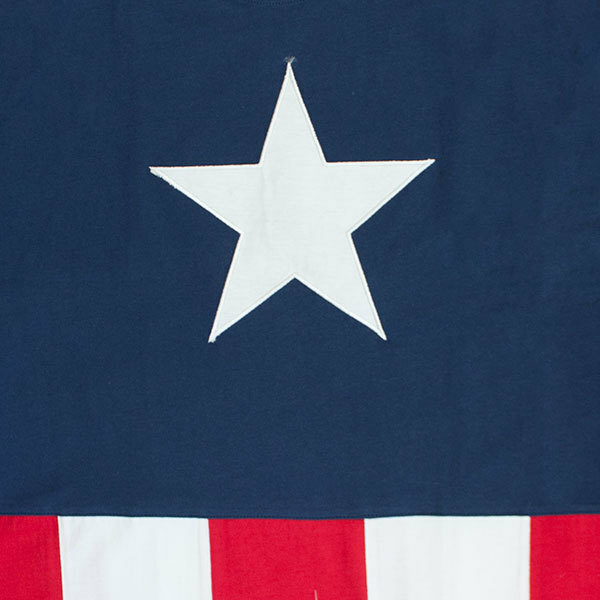 This high quality shirt features the Captain's trademark star and striped costume with stitching on the star and stripes. Comes in red, white and blue and is made from thick cotton fabric. Officially licensed.